PureMix have announced the release of their first video with famous mixing engineer Andrew Scheps. In case you have been living under a stone, Andrew Scheps is one of the top mixing engineers in the world today. He earned his stripes - and Grammys - by mixing hit records for everyone from Adèle to The Red Hot Chilli Peppers, Jay-Z to Michael Jackson. For this video, Andrew was kind enough to let PureMix observe his in-the-box process while he recreated his mix of the song 'Fly Rasta' by Ziggy Marley. 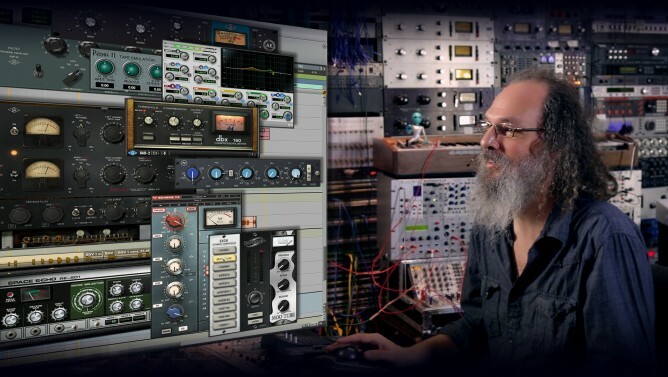 In this 2+ hour master class, Andrew Scheps mixes the very same Pro Tools session he mixed for the actual released record, and leads us through to a final mix, all with readily available plug-ins, explaining every move and every decision, and leaving no stones unturned.